The new Josephine Adele Ford Center for Creativity—named for the St. Paul woman who ran 3 to 7 Playways, a company that created play and teaching materials for preschoolers—offers 4,000 square feet of classroom, making, and gathering spaces. 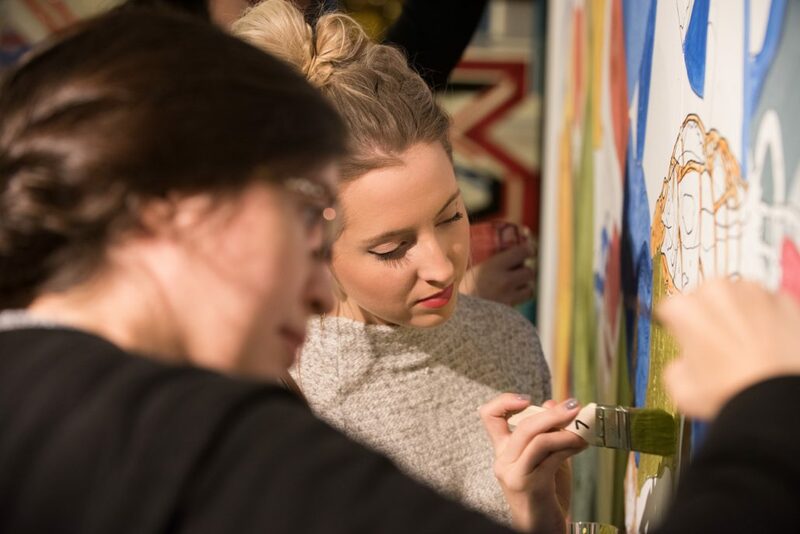 Connect with your creative side by taking advantage of the M’s studio art classes for adults. The M now offers a variety of artist-led studio classes geared for adult learners. Explore folk art traditions with a St. Paul Folk workshop session. Or, take a Vintage M class and find instruction in studio arts important to the museum’s history, remade for the present by contemporary local artists at the top of their game. Weaving: Process and Practice * Saturdays, April 20 & 27 @ 1 - 4 p.m.
Screenprinting * Saturdays, May 4, 11 & 18 @ 1-4 p.m.
Plein Air: Painting Outdoors * Sundays, June 2 & 9 @ 1 - 4 p.m.